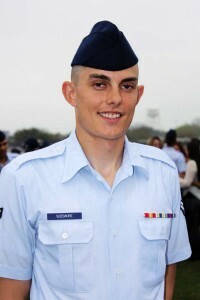 Air Force Airman 1st Class Nicholas R. Sizemore graduated from basic military training at Lackland Air Force Base, San Antonio, Texas. Sizemore earned distinction as an honor graduate. He is currently undergoing AIT training at Sheppard AFB in Texas. He will specialize in electronics, and after graduation, will serve in Japan for two years. He is the son of David Sizemore of Solon Road, Cedar Springs, and Kimberlee Norman of Grange Avenue Northeast, Rockford. The airman is a 2006 graduate of Kent City High School.